We are invited to Murphy Oil's Annual Dinner Dance in Kuala Lumpur next month. 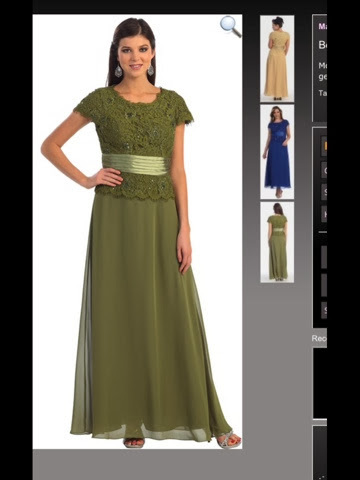 The invitation reads "formal evening wear". Now you can find many things pushed to the back of my clothes closet, but evening wear is not among them. In fact, I have worn a long gown exactly once, on our wedding day. Jakarta is the place for fancy functions, ball gowns and tuxedos, but I have managed to avoid this aspect of expat life and so I actually know nothing about how and where to find appropriate clothing for this upcoming event. Charlotte has been visiting this past week, and I knew that the process would be both cultural and unusual so we added "get Mary a ball gown" to our list of things to do. Too Easy! We have a picture of a dress. Now what? Searching the clothing section of this guide yielded the name of a tailor apparently close to my home, and the reviews of her work were very positive. Ibu Eny can apparently copy any picture (imagine! ), is accomplished and doesn't overcharge. We found her dressmaking shop along a narrow street, congested with people, pushcarts, bajas, vendors and vehicles. It was such a tight squeeze but our driver negotiated the alley-like conditions slowly yet surely. I wondered what Charlotte would be thinking- we were riding the edge of the drainage ditches on several occasions, the car's motion sensors beeped their alerts as we brushed past oncoming traffic in our attempt to inch through. But, Charlotte said she trusted Asri completely and we were both hugely relieved that he was behind the wheel and we were not! I only have a couple of weeks left in Jakarta and I am grateful that my path crossed this jewel of a woman before I left! Ibu Eny was gracious with her welcome, honest in her assessment of what could be done for me, full of advice on where to shop for fabrics. Her home/shop was clean and neat and we thought her completely sweet and lovely! 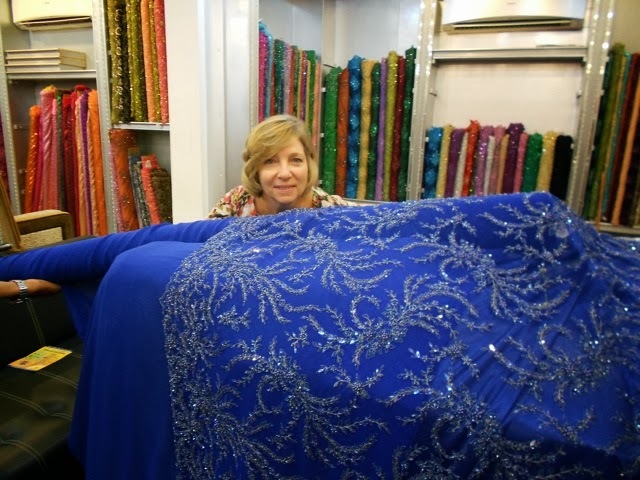 It was agreed that we would return the following day with the meterage of lace, satin and chiffon, as per her quote, and off we set for the fabric market. 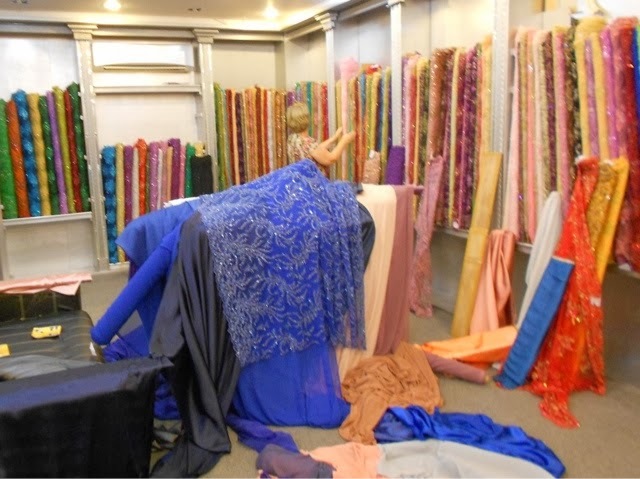 Pasar Mayestic is a favourite destination for dressmaking materials. Numerous vendors line the fabric strip but we were looking for the shop called "Fancy". I seriously had no idea what I was doing or what I was looking for and I had trouble envisioning the finished result. 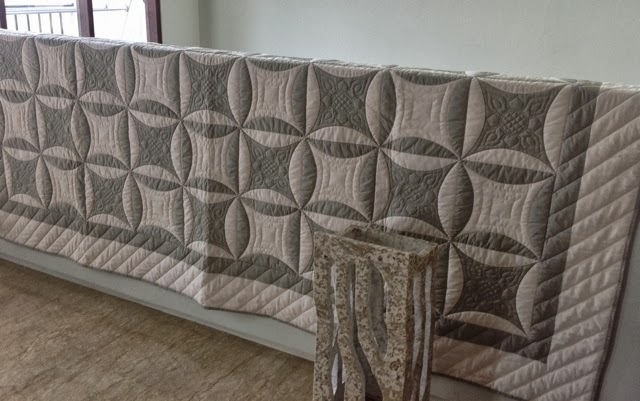 Give me a shop full of quilting fabric any day! I was glad for Charlotte's patient, ordered approach - we were both novices and out of our comfort zones, but she persevered when I was ready to head home empty handed. Finally a decision was made and we could get out of there! Here is Ibu Eny looking over our choices. It would seem she approves. The bodice will be this gorgeous garnet-coloured, beaded lace, lined with a brighter coloured satin. This same satin will line the A-line skirt and the chiffon overlay is a stunning shot of both garnet and plum, very pretty indeed! The original cummerbund idea has been scrapped (so, if i don't look like the model pictured earlier in this post, this could be why.) Whether this combination of fabric, design, workmanship and Mary translates to me looking pretty on the night remains to be seen, but regardless, we have shared an adventure with the unexpected pleasure of meeting Eny the seamstress extraordinare from Jakarta! I believe she will come up in our thoughts and prayers many times over. A great beginning to what will hopefully end in a lovely gown and only the Good Lord knows what else! The practical reality is quite simply this- What is the point of getting my knickers in a knot, when God has promised me His faithful Watchcare?! This week, it could seem like there are many things to worry about. We are now, officially, a couple in transition, again. - we are moving from Indonesia to Malaysia. We have important decisions to make. We are not together in the same country as we try to make these decisions. We have no housing yet. We await some paperwork crucial to the move. We have a container of "home" to organise for shipping. 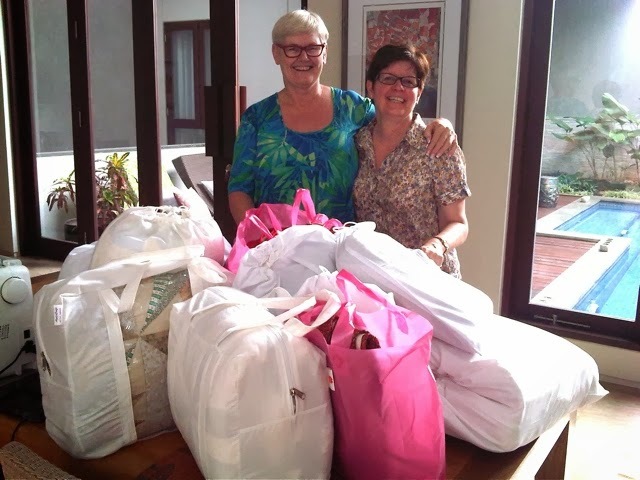 We are saying goodbye to loved ones and our life here in Jakarta. We are setting forth into the unknown. But all week, I have been reading with Charlotte from her devotional book "Jesus Calling", and the unmistakable theme has been to trust Jesus and focus on Him. Oct 15 "My Presence with you is both a promise and a protection"
Oct 16 "Look to Me continually for help, comfort, companionship. Recognise your need for Me in small matters as well as large." Oct 17 "Anxiety is a result of envisioning the future without Me." Oct 18 "Focus on Me, the Shepherd Who is leading you along your life-journey." 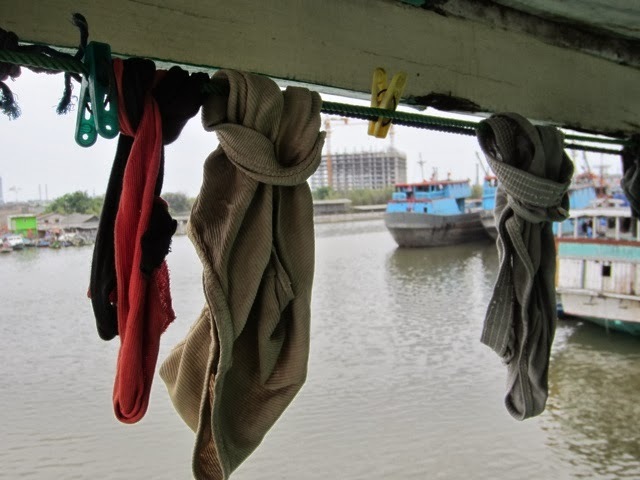 Thank you God for Your Word in print, for Your Word imprinted on my friend Charlotte's heart, and for Your Word, even hanging on a Jakarta clothesline, if I have the eyes to see it! Remember the Christmas quilt for my brother-in-law? Well, it is finished and has left the building. 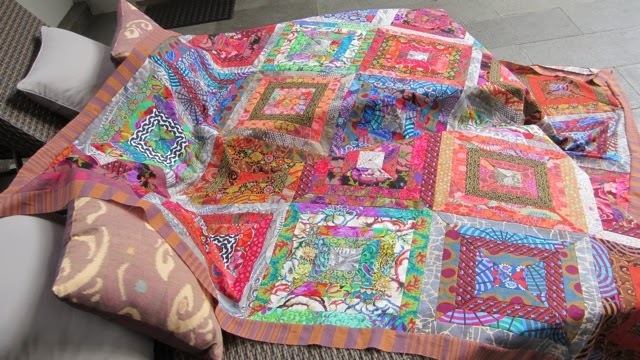 As I write it is enroute to Perth where it will be quilted. and had lots of pep talks during this past week concerning its' completion. And here it is! I was forced to nix the border which seems a bit anticlimactic, but it became far too large for anyone's good. 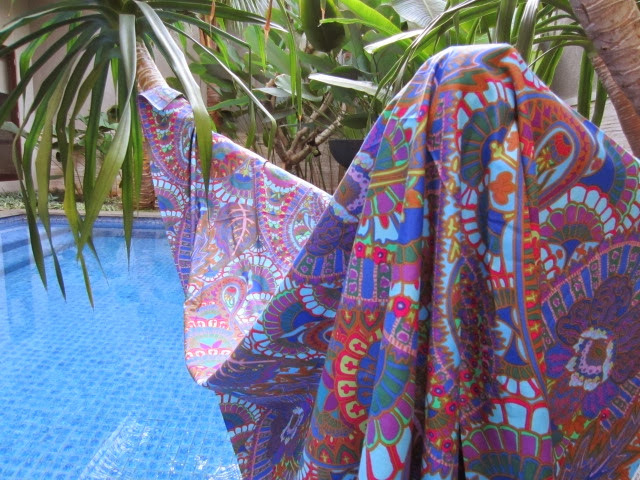 I think Frankie would have liked those paisleys though. 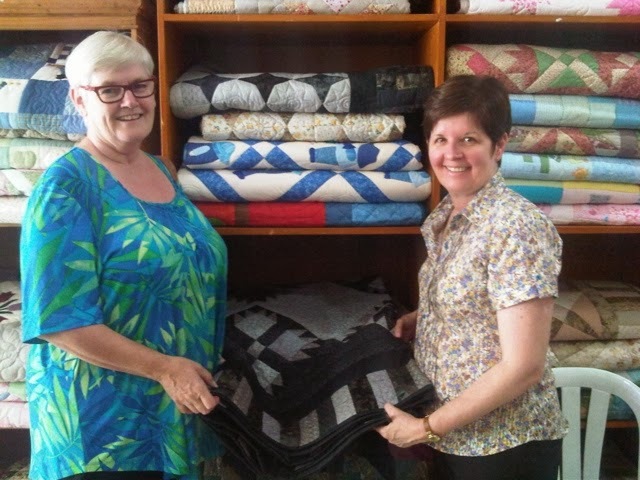 Jacqui has kindly carried it back to Perth for quilting. Then I must persuade one of my girls to carry it with them to Canada on my behalf - a request which may not go over very well! We shall see! 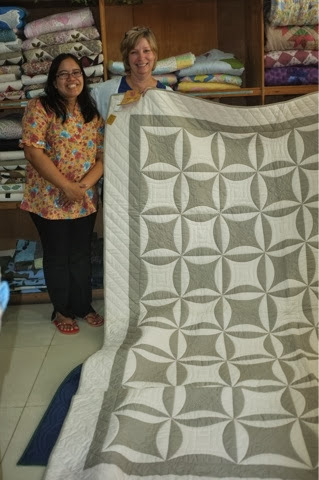 I have been hosting fellow patchworkers this week, as you know, so when I mentioned the women of Agape Quilts and Crafts who earn their living and lighten their families' money woes by making beautiful quilted items for resale, the girls were keen to visit. Now, sometimes patchworkers happily travel a distance to find a shop, so when I tell you that we set out to find Agape's shop which was 153 kilometres away, this may sound crazy, or reasonable, depending. But, if you factor in the unpredictability of Jakarta traffic, it was a decision bordering on the insane. Especially since we didn't know exactly where Agape was located, they hadn't yet responded to my email before we set out, nor could we engage them by either landline or mobile. However, undeterred, we set off, prepared to shop or not, and at the very least to enjoy the drive and the scenery. It was so nice to leave the city behind and head west toward the mountains. The vista of rice paddies, tea plantations, and mountain ranges from any direction was a welcome change of scenery. A couple of stops to ask directions and 2 1/2 hours later we arrived to find a shop full of quilts behind a locked door! But closed shops don't mean as much here in Indonesia, and before long some women appeared, turned on the lights and opened up for us. Phew! 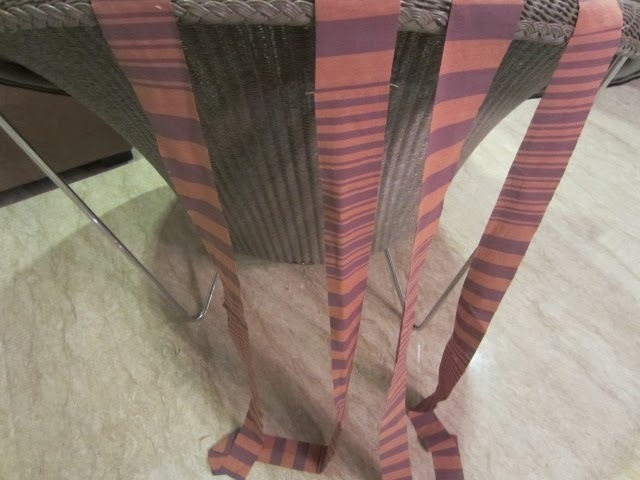 We began a two hour exercise of pulling from the shelves nearly every one of their quilts! The Agape ladies were very obliging. These ladies work in intricate stitches and it was a trick to whittle the pile down to a shortlist as there were many beautiful pieces. We each selected something that we felt we would/could never make ourselves. 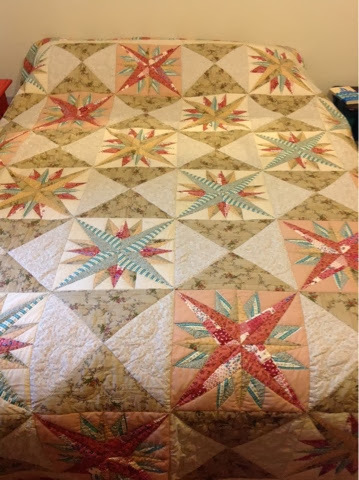 Janette chose a complicated star, Jacqui a whole cloth quilt with scallops and incredible hand quilting, and I chose a two colour quilt. Shame, I have no photo of Jacqui's masterpiece, however here she is playing amongst all the Christmas goodies! Can you tell we are having a good time? All too soon it was over. Here we are home safely with all our loot. 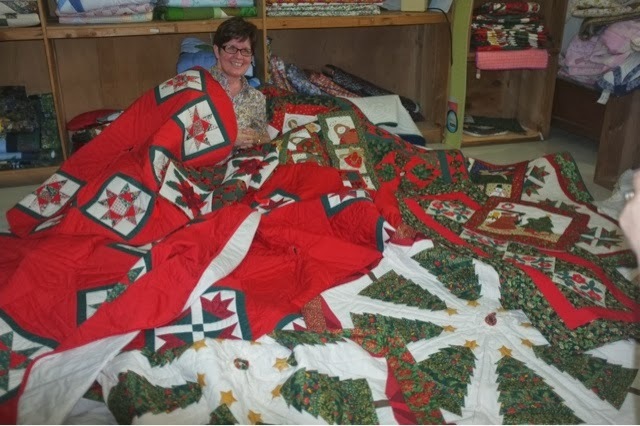 1 king, 3 queen, 3 Christmas tree skirts, 4 Christmas runners, 6 baby quilts, and a partridge in a pear tree! 3 lucky girls indeed! It's a very good thing that extra baggage allowance has been purchased. Well this is exciting! 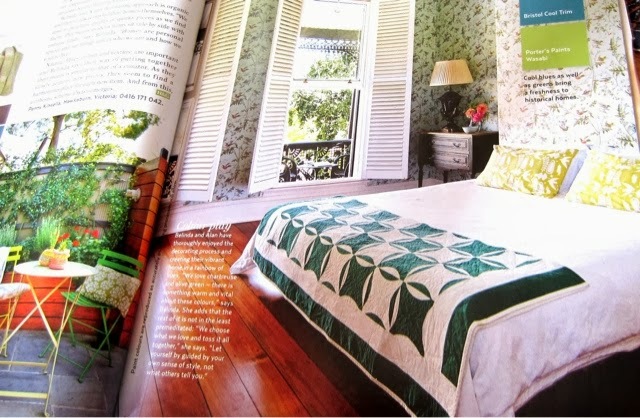 While I wrote this, Jax was flipping through a magazine and found my new quilt! How pretty! Hmmm... Another in green?